Rita Dove is a former U.S. Poet Laureate (1993-1995) and recipient of the 1987 Pulitzer Prize in poetry for Thomas and Beulah. The author of numerous poetry books, most recently Collected Poems 1974-2004 (2016) and Sonata Mulattica (2009), she also published a collection of short stories, a novel, a play and, as editor, The Penguin Anthology of Twentieth-Century American Poetry (2011). Among her many awards are the 2011 National Medal of Arts from President Obama and the 1996 National Humanities Medal from President Clinton. 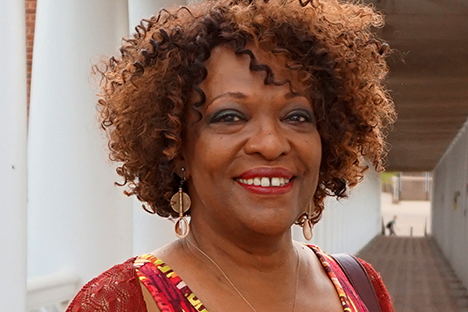 Rita Dove is Commonwealth Professor of English at the University of Virginia.